We troll for walleye; we troll for muskie, heck some of us even troll for channel catfish. But, whoever thinks of trolling for crappie? Trolling for crappies seems a little bit too aggressive to many of us but in fact it can be an extremely productive way to catch big slabs suspended in many of our Iowa lakes. The summer period is a time of diversity for crappie patterns and if you aren’t finding the big boys and girls around timber or rock banks then it’s time to put the electronics to work and troll for open water fish. Finding the preferred depth of suspended fish is probably the most crucial piece of the pie. 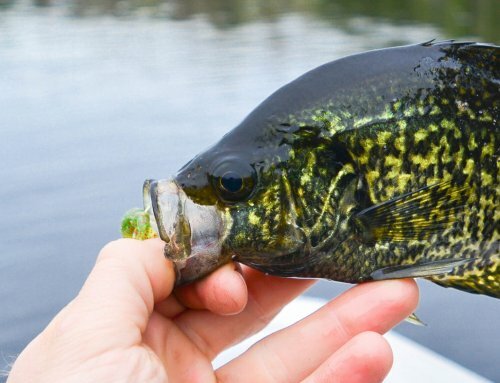 Crappies can be very selective on their feeding habits and if you are more than a couple feet above or just slightly below a school you may never get a strike. This is where a good depth finder comes in handy. Use this as a tool while cruising around to locate the suspended fish and their exact depth. Adjusting for this depth with a tiny crankbait can be tough but there are a few ways to do so. One is to adjust the amount of line you have out. The more line that is out the deeper the crank will run to a certain point. 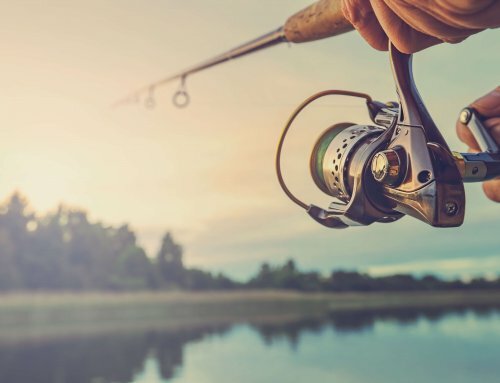 If you have anything more than about 80-100 feet of line out and still aren’t reaching the fish then the next option is to switch to a heavier lure. 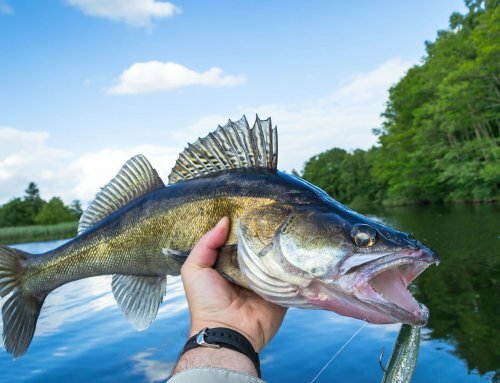 Depending on their depth you may even find yourself trolling a solid metal lure just to reach deep fish but that is rarely the case, especially with a shallow thermocline, which is somewhat common in summer Iowa Lakes. A more finesse way to adjust lure depth is to actually switch out the tiny treble hooks to heavier or lighter ones. This may sound a little nit-picky but with such a light lure you be surprised how a little change makes a difference in running depth. Line thickness also plays a part and it helps to use a lighter line to allow the lure to run as true as it can. I prefer a 6 lb fluorocarbon line in this style of fishing. That was for all you Metallica fans out there and to bring this into perspective I’m talking about forage fish that crappies feed on. There are lots of Iowa lakes, especially the big reservoirs, that harbor healthy and in some cases explosive populations of shad. Smaller shad are a favorite food item for big crappies. Just like white bass, yellow bass, channel catfish, largemouth and other textbook shad eaters, crappies will and often do go pelagic in search of roaming shad schools. If you can locate these schools of bait you can sometimes find hungry schools of big crappie just below. One thing that a lot of lakes in Iowa have in common is an old creek or river channel that still runs through the main body of water. Summer crappies love to associate in large schools around these structures and trolling the edges, points and outlying flats of the old channel can bring a lot of action. If there are any trees along the channel these will also hold and suspend fish above it, which can be a great place to troll a tiny crankbait over. 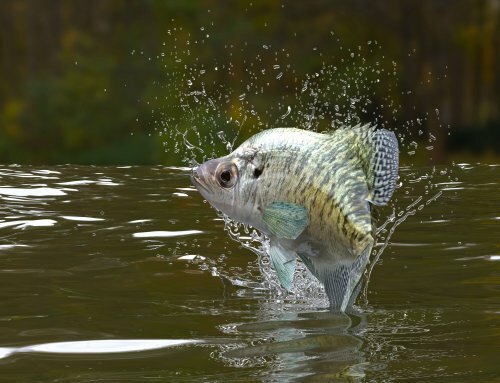 Yet another depth feature that can concentrate crappie is an underwater hump. It may surprise you how high up a school of slabs will suspend from deeper features and I have even seen crappies caught at 10 feet when the bottom was still another 20 feet below them. These type of structures for me are best to hit in the early morning and especially evening. Slow is the name of the game here. Anything more than 2 mph and you are wasting time and missing fish. Trolling in the 1.2-1.6 mph range is just about right. This is slow enough to let a crappie eat but fast enough to get the small crankbaits to the depth they need to be. Controlling this speed can be somewhat of a pain, especially in windy conditions or if there is a lot of boat traffic but trolling is one of the more rare methods for catching crappie where these variables have little effect on fishing success. One way to troll slowly is to use an electric trolling motor. This method is nice and quiet but you are limited to fishing time by the life of your battery. Using the big motor is another option but many of these motors troll at slightly more than 2 mph on low idle. One way to compensate for this is to drift a couple five gallon buckets behind the boat on ropes as you troll. Or if you have a drift sock, deploy that a short distance behind the boat. You can also buy a trolling attachment, which mounts right to the motor, displaces the prop wash and slows the trolling speed dramatically. There are hundreds of options out there to choose from and lots of them are proven fish producers. One thing I will say is that it helps to have a few different color patterns and a variety of depth options in terms of diving depth and lure weight. Some of my favorite brands of crappie crankbaits would be Crappie Candy, Rebel Super Teeny Wee-r, Bandit Crappie Crankbaits and Strike King Slab Hammers. These brands come is a wide variety of colors and are all good crappie producers. There are many plusses to trolling mini crankbaits for jumbo crappie in the summer. One, it can be quite productive especially for big fish. 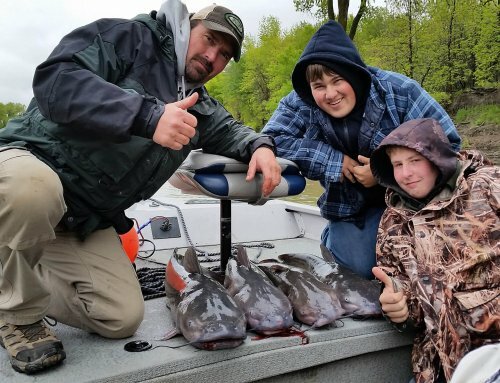 Two, it is a nice change of pace from pounding the banks and brush piles with jigs, and three, this method of fishing can really show you a lot about a lake and the habits of the slabs that live there. This is a great method when the fishing pressure is high too. Give trolling a try this summer if you are out on one of the big reservoirs or even some of the smaller lakes. See you on the water! 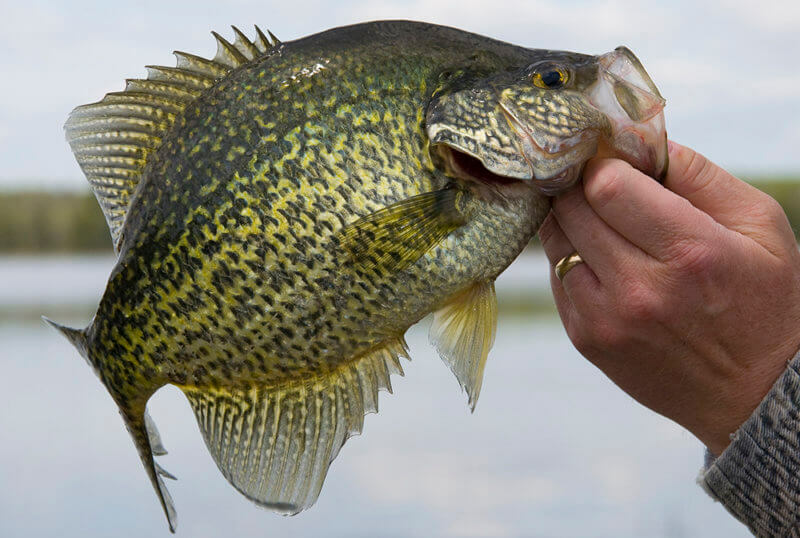 Did You Know: The world record crappie weighed in at 5 lbs 3 oz. The Iowa record is not to far off at 4 lbs 9 oz.